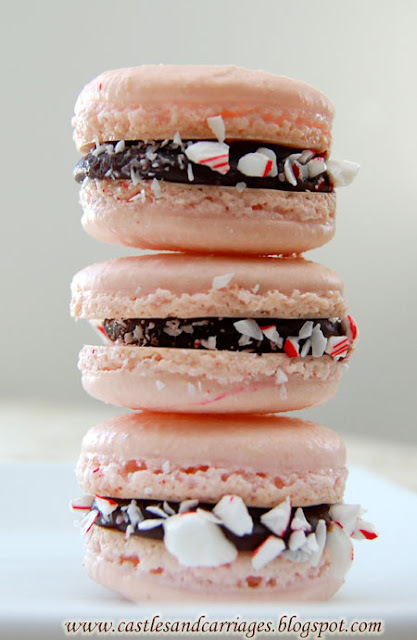 This is my favorite coconut macaroon recipe. They're soft, with crispy golden edges, and remind me of an Almond Joy bar (especially when dipped in chocolate). 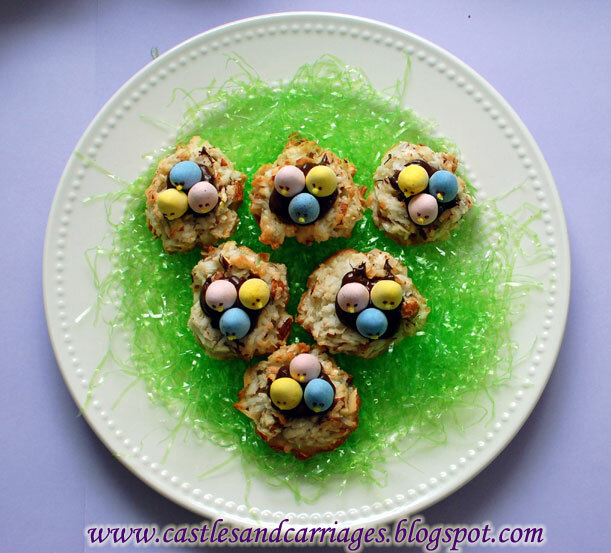 I usually make them during Christmas and always thought these would make wonderful cookie nests for Easter. 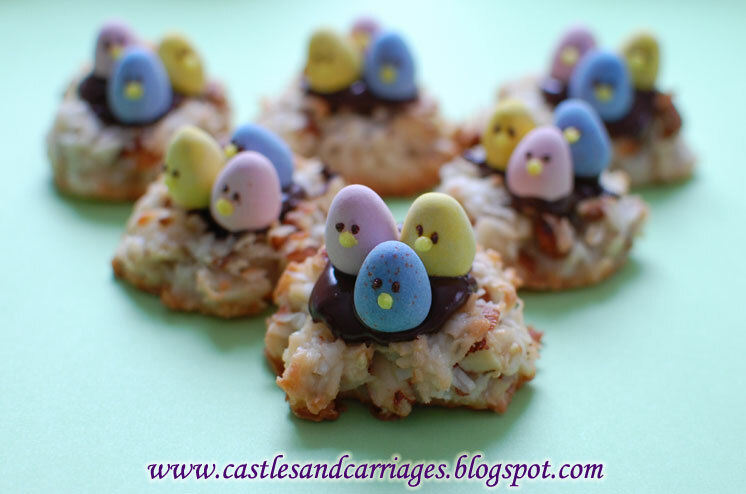 This year I decided to try it out by topping them with little chocolate baby birds (Cadbury Mini Eggs). I've tried the recipe both with and without chopped almonds. They're fine either way but I prefer them with the almonds because they add a nice flavor and crunch to the cookies. Mix flour, sugar, salt and coconut into bowl. Whisk egg whites and vanilla extract together until the mixture seems well incorporated and the eggs whites are frothy. Mix flour mixture with egg mixture. Then add chopped almonds and mix. By the tablespoon fulls, drop coconut macaroons onto prepared baking sheet. 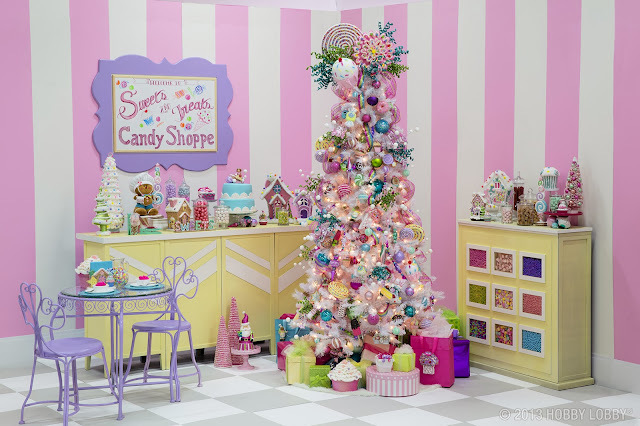 Then using a teaspoon (or another small round utensil) create a little indention in the middle of each cookie. Bake for about 25 minutes (or until the cookie begins to turn a golden brown color). Allow cookies to cool for 10 minutes on baking sheet then remove to cool completely on wire rack. Melt chocolate chips in the microwave (20 seconds at time). Stir well each time. Stop heating chocolate chips when you are able to get the chocolate smooth by stirring. 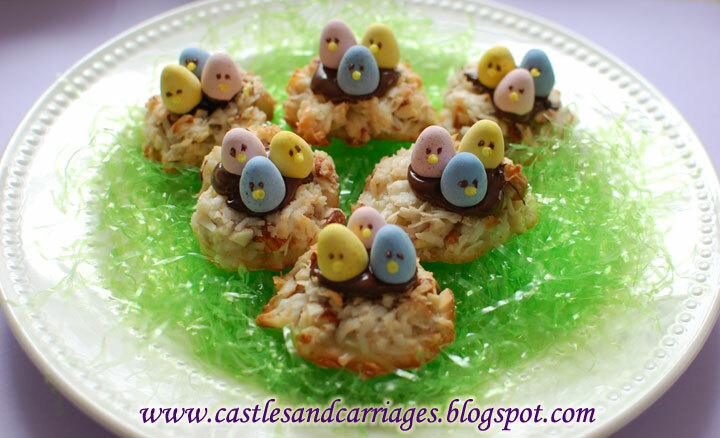 Add melted chocolate to coconut macaroons then quickly add eggs. Dipping a toothpick into the chocolate, create eyes on the birds and add frosting for the beaks (I used a round cake tip in a pastry bag). These are adorable! I saw them on "A Wise Woman." I just had to pop over from June Fuentes' blog to check these out. Those are adorable - what a fun spring idea!